I have knitted six more sqaures and getting ready to knit something different. 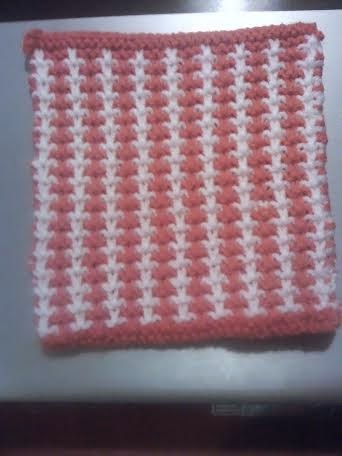 I have chosen squares that are a little different all easy to do and in colours that need using up. Very simple but effective a mix of orange's and yellow's with white and dusky rose. Nothing could be easier a large square with a seed stitch border and a garter stitch square in the middle sewn on using the four buttons. Simple but effective. I like these squares a lot, the leaf stands proud of the square and looks far more complex than it is. This looks complicated but is so easy it is ridiculous a simple slip stitch pattern with two colours that are swapped every two rows. 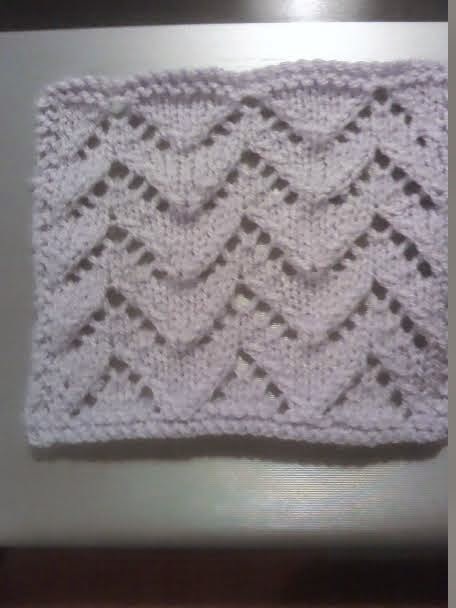 Lacey patterns are fun to do and easy as well this one looks like mountains to me. 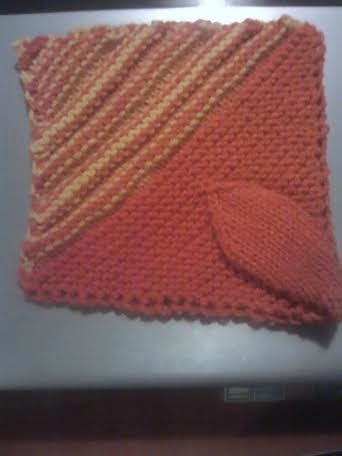 I will make a few more lacey squares to add to the afghan and place them randomly. 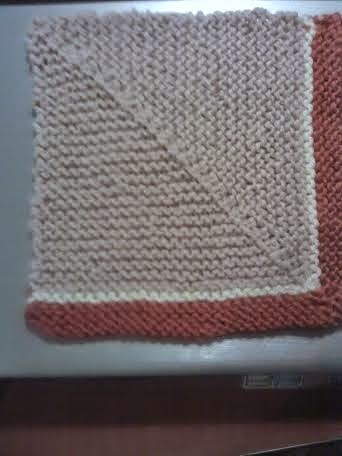 Yet another double decrease square I like these they are easy to do and lay nice and flat. More stash is used up and various colours are slowly coming to an end and that is just what I want. Am I running out of stash? No there is plenty left I am just using up the smaller balls of yarn first trust me there is plenty more to use up. It's great when you finally use up some colours, even if you still have plenty left. 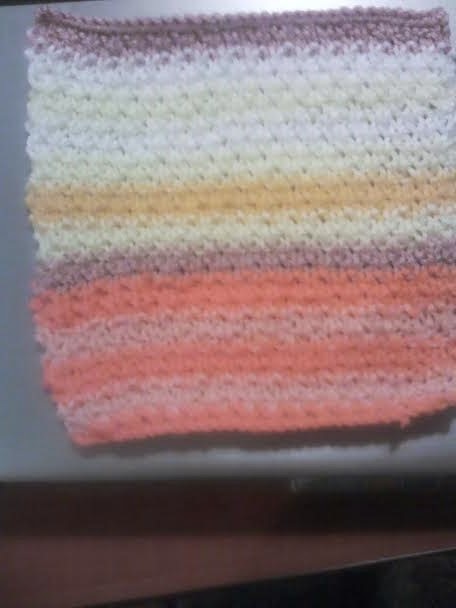 I love slip stitch patterns as well.